The structure stands over 50’ high and covers around 20,000 s.f. The PVC fabric was fabricated in Auckland, New Zealand by Structurflex. 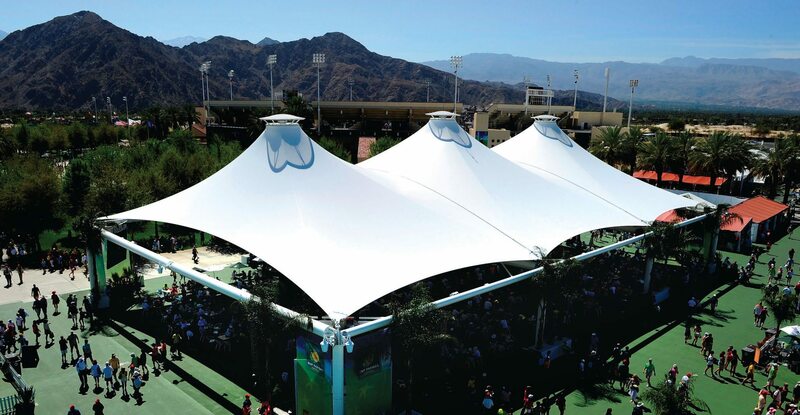 The structure not only provide shade during the day but makes for an impressive light show after dark.